It’s time to buy a new car, but you’re looking on a budget – your old one is well past its prime, you’re young and looking to buy for the first time, or you’ve just bought a new house in the suburbs (along with a brand new mortgage) and you need a way to get to work in the city. It can be intimidating at first, but here at Yorkdale Dufferin Mazda, we know that driving in the GTA isn’t a luxury, it’s a necessity, and a Mazda is a stylish, fun car for your urban commute that also comes in at a very reasonable price point. Deciding how to get behind the wheel of a Mazda on a budget may mean settling for a more affordable series, like the bestselling Mazda3 GX, which you can get from our lot at Yorkdale Dufferin Mazda for as low as $19,495 thanks to our great specials. However, SUV, crossover, and coupe options can also be in your reach if you buy a used Mazda or if you lease and pay to rent rather than taking out a loan. The option that works best for you will depend on your driving needs, your bank account, your credit, and also your personality. Leasing is the most affordable option if you don’t have a lot of money lying around for a down payment and you want to pay less every month to rent the car rather than finance a purchase. Leases come with lower down payments, plus you’re only paying for the time you spend with the car, i.e., how much it depreciates during your lease, not the whole sticker price. Leasing also makes sense if this is a vehicle you use for business, as businesses get to claim a maximum lease payment amount every month against their taxes. Buying new is the right option if you have more money in your bank account to add to the down payment and you don’t want to worry about mechanical issues down the line – either having them or paying for them off-warranty. If you get a low interest-rate loan on a new car, you may be surprised at how little difference there is between the price of a new car and a used one. With all of the great Mazda deals available at Yorkdale Dufferin Mazda, buying new is in your reach. It also means that when you’re ready for an upgrade, you’re going to have better trade in or resale value to offset the price of your next ride. 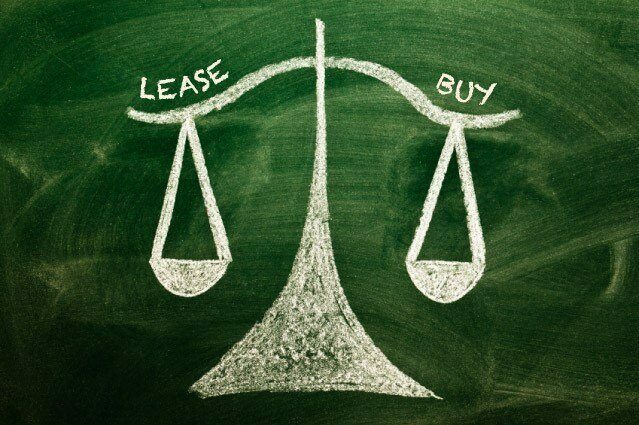 Whether or not you should buy used or lease will depend a lot on how you drive, because leases come with mileage restrictions and you can wind up paying extra for going over or for banging up the car. Plenty of Mazda Toronto drivers make us their Mazda dealership because we offer great deals on both used and preowned Mazda vehicles. Certified preowned vehicles are usually vehicles that have been returned to us off-lease and given a factory inspection, so you’re less likely to face mechanical troubles down the road. Come talk to us about whether you should buy used, buy new, or lease and we will make sure that you drive away happy.